Last week Bitcoin was seen slumping for four consecutive days in a row. We have written an article about the news related to Goldman Sachs deciding to drop its plans for a cryptocurrency operation, but even though the investment bank had not confirmed the rumor, cryptocurrencies had continued to be subdued. 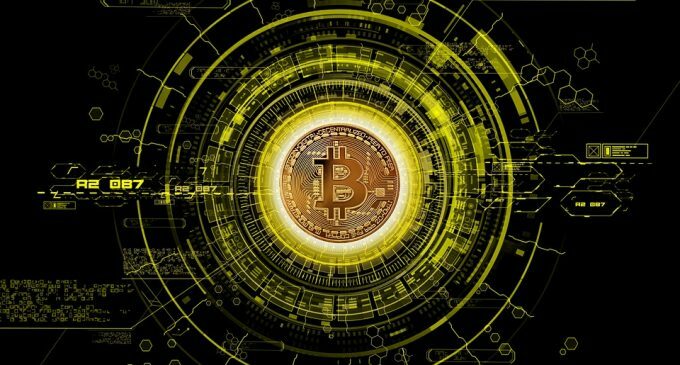 In this material, we will focus on some important Bitcoin technical aspects, as we believe we are in a situation that could lead to some further weakness. If you look at our chart below, you will notice that starting from February this year Bitcoin managed to recover four times, resulting the waves from A to D which we have highlighted on the chart. What’s interesting about these waves is their angles. As you might easily notice, each angle gets weaker and weaker, suggesting the bulls are being crushed by the selling pressure. Adding that there also a descending triangle formation which we have discussed in our last weekly crypto analysis, what we can conclude is that the situation does not look too promising for the bulls from a technical point. So far, the 6,000-5,770 key support area managed to hold successful, but with bears in control, a breach below it might happen in the following weeks. The whole price action structure suggests that the bearish parabolic structure which started at the beginning of 2018 will continue to unfold, leading to further losses in the price of Bitcoin. Although Bitcoin is more reliable in 2018, its price could continue to suffer in the near term. The only fundamental aspect that could have supported the Bitcoin price was related to ETFs. However, the US Securities and Exchange Commission had rejected all requests so far, postponing the possibility of a Bitcoin ETF launching until the first half of 2019. Still, last three months of the year have been supportive for cryptocurrencies from a statistical point of view. 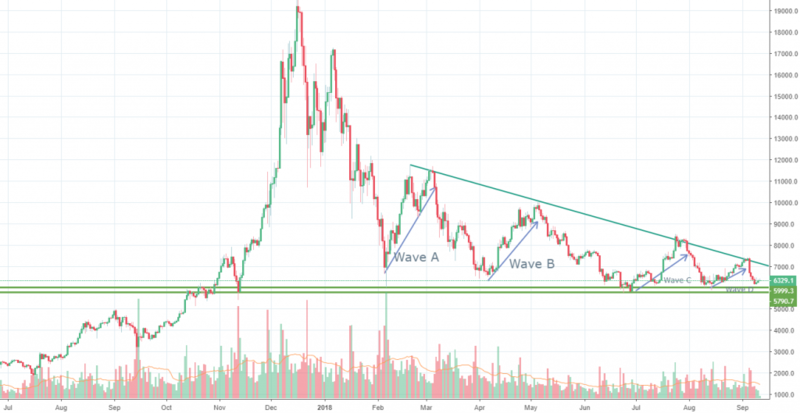 Some analysts predict that Bitcoin could start a recovery from mid-October and history supports that view. However, at the present time, things don’t look good at all for Bitcoin and we suspect new buyers will remain on the sidelines for at least a few weeks. If the key support area we have mentioned above won’t be breached until October, we believe the end of the year will be better for all Bitcoin buyers. Is Bitcoin more Reliable in 2018? Could Bitcoin Head Towards 20,000 Again?